Alexis Ohanian has an unprecedented gift: He's able to use 20/20 hindsight in the present. After selling Reddit to Conde Nast in 2006, he's now rejoined the company full-time with his long-time friend, Co-founder and CEO Steve Huffman. Today, he helps run it — bringing 11 years of reflection and experience working, writing and building to the role. During his and Huffman's absence, very little at Reddit changed, giving them the chance to essentially pick up where they left off as older, more seasoned entrepreneurs. This makes Ohanian a useful case study. He's simultaneously a very archetypal founder and very much so not. As one of Y Combinator's earliest investments, he was put through the gospel paces of building a company — launching an MVP, testing with users, finding product-market fit, iterating, etc. But after the sale, he went his own way — volunteering abroad, pitching in to launch travel site Hipmunk, and investing at both YC and his own fund, Initialized Capital. In the process he saw and advised a lot of companies — sharpening his abilities to pattern match and spot success. 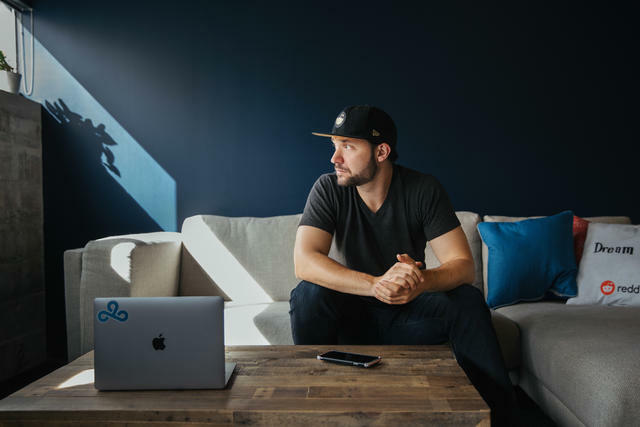 In this exclusive interview, he leverages what he learned on his long stint away from Reddit to advise other early founders, who — much like 2005's Ohanian — have found themselves trying to make a dent on the industry against long odds. So, without further ado, here are the 12 vital don'ts he says changed his company and career. 1. Don’t lose your perspective. This sounds squishy and basic (and Ohanian knows it), but he puts a different spin on it. “Stay humble” has become an unsettlingly empty catchphrase in Silicon Valley, and many founders are encouraged to think they’re immune to failure. But none of this is helpful, he says. It only serves to raise expectations for oneself and one’s company until any misstep feels like a disaster. You end up paralyzed or playing small ball, worried about what everyone else will think or how it'll look if things don’t work out. Early on, he had this mindset shifted for him. Within the first six months of founding the company, his girlfriend fell out of an apartment window and into a coma, his dog died, his mother was diagnosed with terminal cancer, and he sunk into a depression (which he’s since talked about openly to help others who might be grappling with the same). He went from spending hours perfecting Reddit’s business card design (a definite ‘don’t’ he’d like to highlight), to flying home often to spend time with his parents. For the last 10 years, nothing that ever happened to me felt like an actual crisis. Everything was manageable. I had been through the worst and nothing else in the tech world could compare. This feeling — that the worst that could happen to him or his business just wasn’t that bad comparatively — afforded him a degree of freedom. It gave him permission to take bigger risks, to have fun in his work, and to not feel beholden to people’s judgments or opinions. It can be hard to maintain this type of perspective when you’ve taken millions of dollars in funding, and you’ve quit your job — but disconnecting from what your company means in the broad scheme of being a human will only work against you. Even in 2005 in Boston, being a startup founder meant being part of a distinct social set. Months into starting the company, Ohanian and Huffman already received an onslaught of invites to meetups, conferences, dinners, and events. It seemed like he almost had two jobs: building Reddit and maintaining a demanding semi-professional network of friends and colleagues. Will there be people there who are valuable for you to meet for precise reasons? Will there be people there who you feel a real connection with or who you want to support? If you can’t answer yes to either of these questions, don’t go. If you go and realize you’re having a series of cookie-cutter conversations, leave. There’s no time for that. When you’re a founder, every moment you’re not writing code or getting users, you need to be making a conscious choice. Is whatever you’re doing worth your time? That mantra was seared into his memory by YC, “And I still went on so many fool’s errands because I thought maybe being out there mingling would help,” he says. “Over time, I realized that there was no security or vulnerability in those environments. Out at a bar or a restaurant, everyone’s always killing it, no one’s ever saying, ‘Actually, I have a problem.’” If you’re lucky enough to find venues where people do have those conversations, that’s where you should be. It’s something he’s trying to recreate in private dinners he regularly hosts with his Initialized co-founder, Garry Tan. 3. Don’t pretend at vulnerability. Much like ‘humility,’ the word ‘vulnerability’ is in the process of being gutted. Many CEOs say that it’s important while only highlighting vanity metrics or ignoring errors. And employees throughout the startup ranks shirk away from admitting fault or mistake in case it impacts performance reviews. But this leaves a lot of people who could do better work (and feel better about it) if only they felt comfortable sharing their true feelings with someone. Making vulnerability a cultural reality at your company has to start with the founders. If they don’t have tolerance for being vulnerable as individuals, it won’t become an operating principle for others. That’s why Ohanian’s made such a strong push to talk about his past and his emotional experience of leadership with the whole company at Reddit. His advice amounts to this: Don’t be perfect, just keep getting better. Admit the ways you’re not perfect knowing that no one is. Explain how you plan to improve based on what you’ve learned knowing that’s all you can do. Make sure you remind the people you work with often that this is all they have to try to do. They’ll be judged against this ethic, not what perfection may have looked like. That’s how Ohanian strives to foster vulnerability every day. 4. Don’t choose risk-averse mentors. For Ohanian, one of these people was YC Co-founder Jessica Livingston. “I really value all the advice she gave me because she knew how to get me to be true to myself while also going out there and getting as many early users as possible,” he says. If she hadn’t have nudged him, he might not have gone. And what happened next wouldn’t have happened at all. 5. Don’t define success too narrowly. “I was shocked how simple this ‘press tour’ thing was when it came down to it,” says Ohanian. It’s easy to overthink actions like this, even when you’re not guaranteed to get anything out of it at all. If your chances of success are slim, you might as well put yourself out there and not invest too much time. So he dashed off a couple sentences to a handful of reporters explaining who he was, linking to Reddit, and saying he’d be around the city and open to meet whenever, wherever. No one knew he was taking the Fung Wah Bus down from Boston, staying on friends’ sofas in New York. To his surprise, a few reporters took him up on the offer, though no one ended up writing. If that’s how he would have measured his success, the trip would have been an abject failure. And he probably would have cut conversations off early. It’s a good thing he didn’t. He called the guy back the same day, which led to Reddit’s first licensing deal — a precursor to the acquisition that soon followed, and ultimately to that miraculous phone call with his mom. 6. Don’t say ‘no’ when you’re on your way up. This sounds like conflicting advice, but there should be an arc. Saying yes more often than no makes sense when you don’t know a lot of people and you’re carving out mindshare for yourself. This is an important phase because almost everything you get offered or any opportunities that come your way will come through another person who has met you somewhere along the line and thought you were alright, says Ohanian. But, echoing his advice about not getting too sucked into the scene, you have to know when you’ve reached a saturation point, and you need to re-center and focus. That creeping feeling that you’re wasting your time is a lagging indicator, which means by the time you sense it, you’ve already sacrificed a lot. So stay vigilant. 8. Don’t chase after the Joneses. One of the most damaging byproducts of saying yes for too long is the oppressive sense you should be doing better. You’re out there talking about and looking at your competition all the time. You start benchmarking yourself against how other companies that aren’t even in your sector are operating. You get gripped with the need to grow as fast or faster, to hire more or better, to build features your users may not need or want — just because someone else is. Reddit is a perfect example of why this doesn’t matter and isn’t a good strategy. The site has 300 million users, some of whom love it so much they’ve tattooed the logo on their bodies. And yet, it didn’t have a native mobile app until 2016. Internally, it’s staffed like a three-year-old company — it hasn’t done most of the things even an early startup would do today — and yet it’s continued to grow into the ninth most trafficked site on the internet. At the same time, not expanding huge teams and building in all kinds of new bells and whistles didn’t take Reddit off track. By not trying to be something else in the early days, or chasing after what other successful communities like Facebook or MySpace were doing, it retained its character and the loyalty of millions. 9. Don’t underestimate the power of your community. Of course Reddit is inextricable from the concept of community. But having marinated for years on what makes community work and grow and succeed, Ohanian strongly believes that its a pillar for nearly all companies being built today. It’s also the number one topic he gets asked about. This is a mistake. And it doesn’t have to go this way. Once you’ve prioritized community, how do you get it to work? Critically, once you have traction in a community, it’s still easy to blow it. A lot of companies fail by changing up what they’re doing, trying to introduce a bunch of new features or mechanics. That’s not what people want, Ohanian says. The most impressive communities grow by delivering more people the content they already love faster. That’s how you win. 10. Don’t create values without examples to back them up. A lot of startups create ‘values’ or ‘principles’ that they suggest their employees adhere to in order to create the culture they want. (This has become such common advice that we don’t even like covering it on The Review anymore.) That’s all well and good, but you better be able to not just say but show exactly why they’re so important. If you can demonstrate a user having a better experience as the result of a company value, they’re 100x more likely to stick and actually make a positive difference in how you operate, says Ohanian. At the end of the day, the purpose of values is to help people who aren’t you make good decisions for the company, he says. One of their most important applications is guiding what new products or features get built and shipped. Resources are always scarce, and there are always many competing priorities. So, to get a new product built, you should show how it aligns with values that are already generating amazing customer stories. This is how Reddit decided to build its new user profiles. For years, the site has elevated content based on its quality and relevance to the community. But it hasn’t given users tools to proactively build and share content with their own audiences. This was a controversial concept when it first came up. To argue that it was consistent with some of the best user experiences on Reddit, he pointed to u/shittywatercolour. He might navigate the real world as the mostly unknown Hector Janse van Rensburg, but on Reddit, the name shittywatercolour carries celebrity status. He’s built an identity — albeit a self-deprecating one — as a terrible amateur artist, who over the years, has gotten quite accomplished at watercolor. Occasionally taking requests, constantly helpful and engaging and making people laugh, he’s become the focal point of an ad hoc community that loves and supports him. He would have never dreamed of making art anyone would care about, much less buy. This is the type of dream Ohanian wants to make possible for more users with Reddit's new profiles. “I had to really convince the product team to think about this with me,” he says. “I was running around saying, ‘Please, please, please I only need these few resources to do it.’ What got them excited was talking about users like shittywatercolour and how we could build something that would make more stories like that one a reality. They had to visualize how this new feature was going to be consistent with our values, and the example made it tangible. Ohanian went a step further and flew van Rensburg to San Francisco to spend time with the team both in the office, as well as socially. “You really only know someone once you’ve karaoked with them, and I took Hector out the last time I was in London, when this idea really crystalized. I wanted the team to understand just how much Reddit has affected his life and how much this feature would help him and countless others like him find their voice on Reddit. We held an internal AMA with him and the company; brought him to meetings; walked him through the vision; solicited his feedback; and even got him to illustrate one of our meeting rooms. Talking to your users — empathizing with them — is something you should never outgrow. 11. Don’t let friendships get in the way of being an effective communicator. Ohanian and Huffman have been partners for a long time. They met on their first day of college, and their prior collaborations were mostly in World of Warcraft. By the time they started the company, they were fast friends — which, in the startup world, can be dangerous. While they remain close colleagues and friends, Ohanian wishes he would have thought through how their communication would evolve beforehand. “Whenever you’re choosing a co-founder or hiring people to lead big parts of your company or your vision, you have to make sure you can have hard conversations. You’re inevitably going to have a bunch of conversations that you would never ever have with a friend — and I think that a lot of new entrepreneurs don’t anticipate that,” he says. To lay the right groundwork, tell the person upfront that you’re guaranteed to get into fights. Ask them how they’d respond to that during the interview phase. How would they constructively approach a problem if you happened to disagree with them? How have they handled strong disagreements in the past? Were they able to see the other side’s point of view at all? Once you start working together, set the expectation that you will still respect and like them as a person regardless of how assertively you counter them down the road. It’s good to have this touchstone, and it helps to pump the brakes a bit before taking something personally, or allowing it to create a serious rift. “Coming back together in 2015 started thanks to Steve’s therapist, who encouraged him to reach out and repair our broken relationship. Now I’m encouraging every founding team I meet to seek an executive coach or some kind of outside mediator to help have the hard conversations sooner rather than later," Ohanian says. 12. Don’t forget you’re building muscles. This goes hand in hand with not being perfect and striving to do better. So many of the skills and traits you need to succeed as a founder can and will naturally be strengthened with time, practice and experience. You’ve already failed if you expect yourself to be good at everything you’ll need to do right away. Whenever possible, Ohanian says, don’t let yourself be discouraged by failure — be encouraged that you’re already better at something. Cultivating constructive relationships with your co-founder and others is one of those muscles. I see a lot of young founders get so deflated by conflicts or disagreements, when they should see that as early, free exercise for muscles that will make them great at relating down the line. The best way to evolve faster as a leader is to be systematic about identifying your strengths and areas for growth, and then thinking about how to proactively work out those muscles. One of the muscles he’s building lately is organized productivity. He just adopted what he calls the “Meek Method” (Joel Meek is VP Operations at Reddit) of using his inbox as his task list, and relentlessly going after inbox zero. Now, if he has something to do, he emails himself immediately. And then he works hard to remain focused long enough to power through the other items that need to get done that day.